Respraying a car in Kuching isn’t something easy because it does involve a lot of cash. With a lot of money likely to be spent, it is a must to get the best possible workmanship for the new paint job. 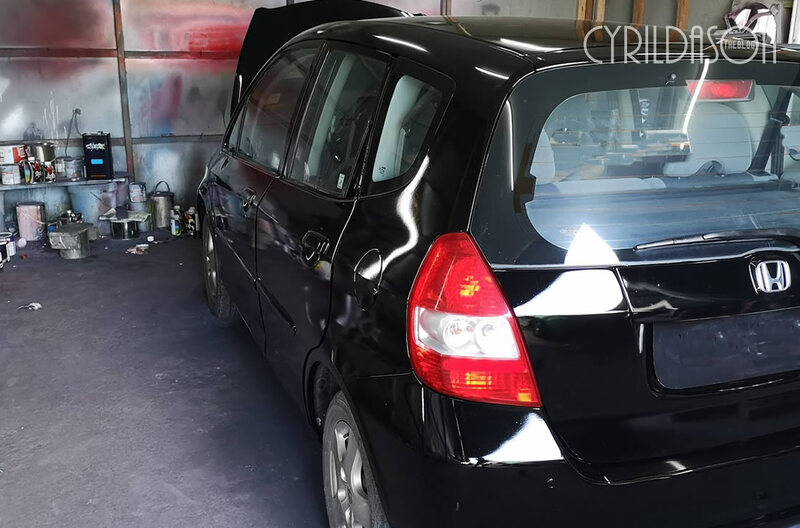 My wife had been driving her car for quite sometime and since the paint was fading it was about time I looked for a person or shop for spraying a car in Kuching. To be honest, it wasn’t easy to get her to agree for the re-paint job, but some major scratches just had to be repainted. 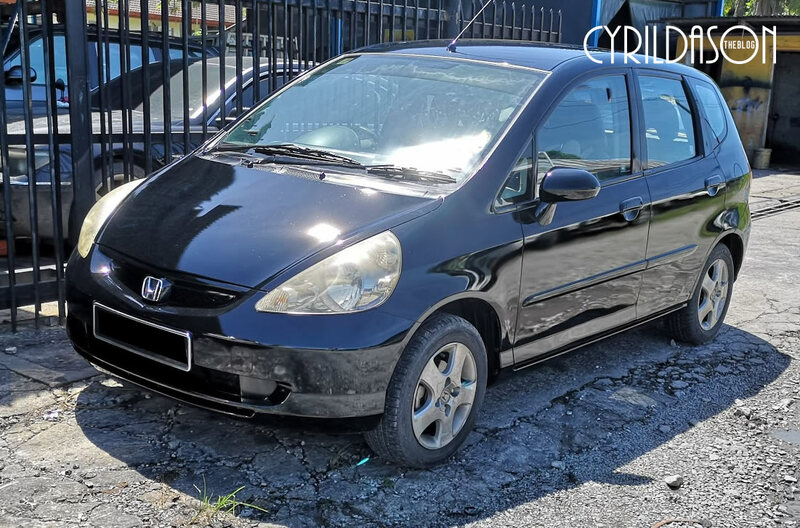 You see, my wife’s Honda Jazz was bought first in 2004, and while she wasn’t the first owner, the car has had a lot of years under it despite the fact it is over 20 years old. The car itself was fully imported from Japan. Perhaps it is due to this that the Jazz fuel consumption remains low, and it is still a pleasure to drive. How low you ask? Try RM140 a month, covering about 150KM in that same month. Compared to my Navara, this car is very economical, but of course that’s like comparing an elephant to a mouse. The only issues with the car is that it looks physically older than newer models and it doesn’t have all those security features newer models have. 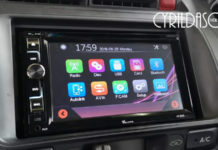 In fact, the only security feature it does have is airbags and probably the Anti Braking and Anti Sliding systems (ABS). Respraying a car protects the metal body of the car. This prolongs its life span. As I said, my wife’s car is kind of old, and respraying it would give it a new lease of life. This is important because the engine still works fine, and the car itself is still in tip top condition. Once resprayed, the car may be void of the latest technology, but that does not mean it isn’t functional or nice to drive. In fact, after I resprayed my wife’s car, she tends to drive more often as it does give her that ‘new car’ vibe. Also, a resprayed car eliminates odor from the car as the new paint overpowers any other smell in the car. Where the car was sprayed. It’s exposed to almost all elements. 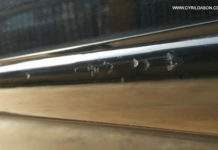 There are several disadvantages respraying a car. One of the biggest to me if how it is done. The person who resprayed my wife’s car did a good job, but it wasn’t perfect. There were noticeable dots here and there, although they weren’t visible from afar. Nonetheless, being the very detailed person I am, I noticed these imperfections. Another thing is that respraying a car in Kuching requires components such as the side mirror to be removed. I am never in favour of such move as it can cause screws to become lose. Last but not least, the colour of the car might be slightly different than the intended. While it is possible to get back the same colour for the car, they type of paint and the detailing is likely to be different. New cars are usually painted by robots, within a very controlled environment. 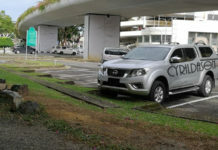 Respraying a car in Kuching is usually done manually within an open space. This exposes the paint job to world element like dust and insects. It also explains why my paint job wasn’t perfect. WAS I SATISFIED WITH THE RESPRAY WORKS? It would be difficult for me to say I am 100% happy with the respray works. On one hand, I am please with the paint job in general, but on the other hand I believe it could have been done better. I guess perhaps many of you are wondering how much did it cost. Considering there were some dents here and there that needed attention, I was charged RM1,600 before GST was abolished. The car after being resprayed. It looks very shiny. After GST was abolished, the ‘taukeh’ still charged me the same price citing that he actually wanted to increase the price. He actually said he was doing me a favour by not doing so. Right. Anyway, I still did the job with him because I felt the price was reasonable. In addition to that, the person doing the paint job was a friend’s friend. This was important because I believed he would do his best in respraying the car. At the very least, his service would be better, and I was right as the care was returned to me with a new layer of paint, and without any missing items. So if you are looking into a paint job for your car, consider the advantages and disadvantages. To be honest, most established and fancy car dealers or mechanics get cars re-sprayed at third party workshops like where I did mine, so there’s really no point to waste money by engaging them. But if you aren’t great at complaining, and you want someone to do the complaining for you, then these established car dealers are better. Previous articleWhy buy the ZMi MiFi Wireless Modem?